800,000 people. That’s the number of people who die through suicide each year. And 25 times more, 20,000,000 people, make an attempt to end their life. To put the number in perspective: it is as if all of Amsterdam disappeared, or as if all of Mexico City made an attempt in a year. 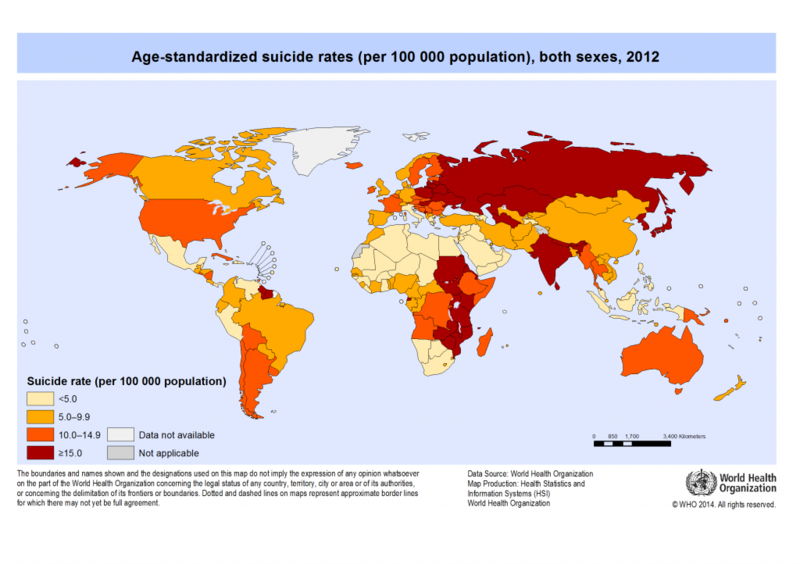 Contrary to the belief of some, suicide is not only a problem in developed Western countries. It is a global problem: World Health Organization data for 2016 shows that four fifths of suicides occurred in low or middle income countries. We have to talk about suicide, and 10 September – world suicide prevention day – is a good moment to start. Happiness thus affects many people, and is the second cause of death for 15-29 year olds. But what can we do to prevent suicide? I am not a psychologist, and to anybody who truly does not see a purpose to be alive I would above all recommend to seek immediate professional help (and to be clear, this blog does not offer professional help). In many countries, there are suicide prevention hotlines you can call when in crisis. Wikipedia lists them here. Seek professional help. Get help from a professional therapist to tackle the problems you are facing. Talk to friends or family, or write down your worries. If you express some of the thoughts that are bothering you, their weight is already smaller. Get a daily routine. Make sure you sleep enough and eat in right amounts. Go outside for a walk, or exercise: fresh air and movement already give a boost to the hormones regulating how you feel. See life in perspective. Moments of happiness pass by, but the same is true for moments of unhappiness. The dark side is a part of life. Show gratitude for the good things. Pay attention to and appreciate the small and beautiful things that happen: rays of sunlight on your skin, a nice coffee, a smiling person on the street. You can even consider the ‘three good things‘ practice and start writing down positive events during your day for at least a few weeks. Suicide and suicidal thoughts are a social issue. What can we do – as individuals – to reduce this source of suffering around us? Speak up and offer help. When you suspect that someone feels lonely and a burden to people, and is not afraid to die, reach out. Talk about the problems they are facing. And not only in autmn, winter or Christmas time: summer can also be a time of darkness. Talk about suicide. According to the Dutch suicide prevention hotline, there is no need to shun the subject. In their experience, talking about suicide does not result in a suicide attempt. Youth could be an exception though: if they talk about suicide openly, this could influence behaviour. Encourage the person to get professional help. Support them in reaching out to professionals. Take care of yourself. Don’t make yourself responsible for all the suffering you see. Use your own support network to express your own feelings. 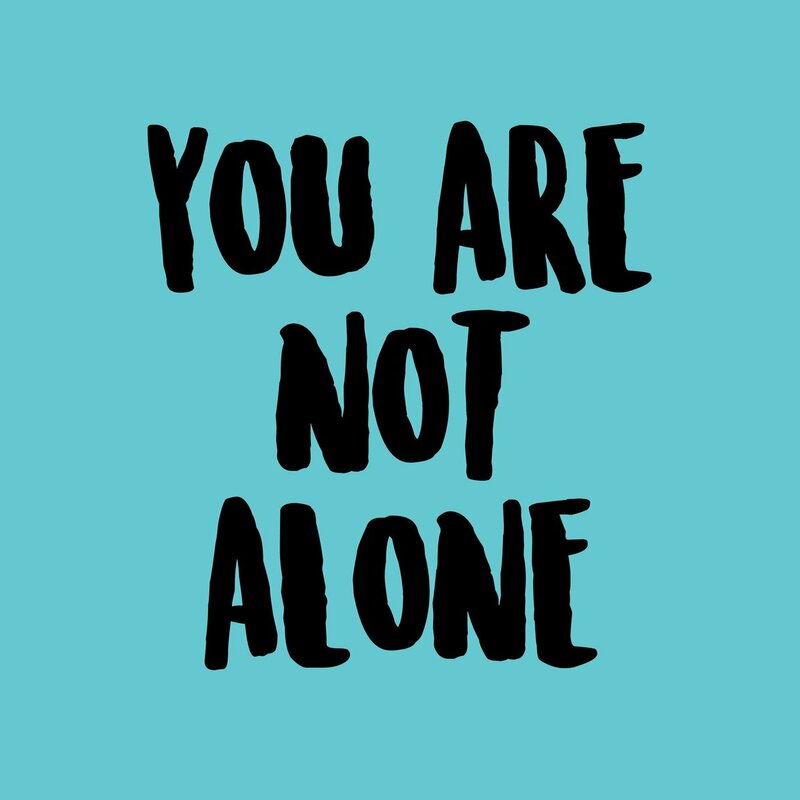 As a society, there is still a lot what we can do to improve suicide prevention: continue breaking the taboo, train doctors and other health care professionals in recognising and treating suicidal thoughts and depression, and reduce access to tools used for suicide. There is more that can be done to strengthen mental health and build resilience. Depression and schizophrenia are said to account for 60% of all suicides. Schizophrenia is a complex disorder, and there is no easy cure for depression. Many cases are inappropriately treated or not treated at all. As societies grow richer and people live longer, more investment needs to be made to better understand how depression can be prevented and treated. It can start with changes in education: increase emphasis on life skills and happiness at schools, to help people face the ups and downs in life. Happiness education may be a factor that helps to prevent suicide.